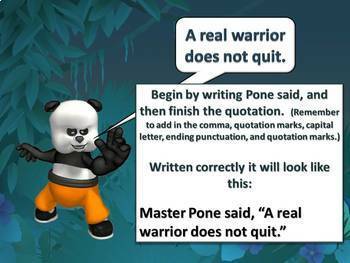 Let Master Pone teach your students how to punctuate dialogue properly in the Kung Fu Style! 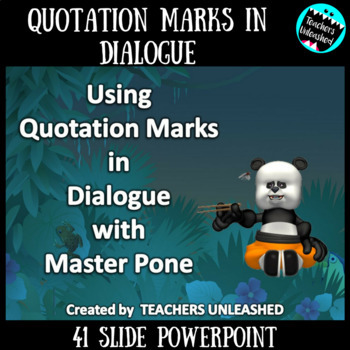 This presentation is designed to enlighten your students on how to punctuate both indirect and direct quotations, as well as teaching them the 3 ways of writing direct quotations. 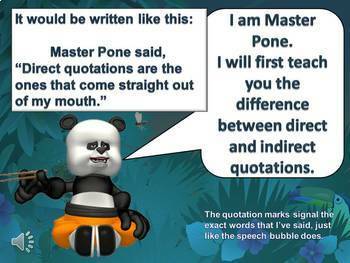 Students will learn "Pone First", "Pone Last" and of course, "Broken Pone." 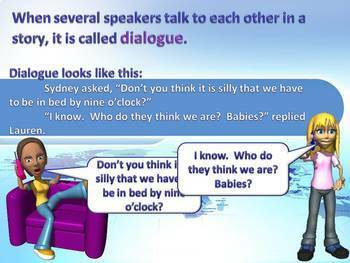 They will be entertained, and will thoroughly master the concept through both the presentation as well as the bonus worksheets provided. As an added bonus, we've made a bulletin board set to match each form of use.